I consulted Mr.Anil Kumar few months back for my job related queries. I was completely satisfied with his knowledge of astrology and counselling techniques. He is a true professional in his field. I certainly recommend him to all the people working in corporate houses for Astro counselling. The services of Astrology, Palmistry, Numerology rendered by Mr Anil Kumar is too good. His services are genuine , authentic and you feel fully satisfied after meeting Mr Anil Kumar. I am consulting him regularly since last 6 years. I met Anilji through a reference for my daughter's marriage related issues. He was very accurate in predicting the time period for my daughter’s marriage. Thanks to this great gentleman. I would certainly recommend this Astrologer to all my friends, colleagues & my family members for his honesty, good knowledge about Astrology & his counselling techniques. Your confidence level will certainly go up after meeting Anil Kumar ji. We are lucky to have such Astrologer in our neighbourhood. Anilji predicted my husband's promotion prospect in his job very correctly. I wish him good luck for his future. I came into contact with Mr. Anil Kumar (Astrologer) in 2010 year. I was in two minds in pursuing a business opportunity then. Anilji guided me properly after studying my horoscope and advised me for not going ahead for this opportunity. I thank him for his guidance then, as the business opportunity which i was interested in never took off well and it is still in deep trouble. I thank Mr.Anil for his genuine services. My Family members and my friends are taking regular advise and guidance from this great Astrologer and Numerologist. His predictions and guidance has helped us take crucial decision in our lives. 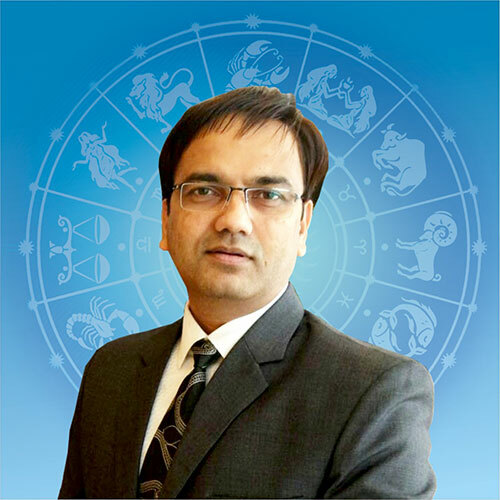 I certainly recommend Mr.Anil Kumar to others for Astrology and Numerology services. I took services of Anilbhai Astrologer for lucky gems stone and Rudraksha for myself and my brother. I have seen good results after putting the Gems stone and Rudraksha recommended by him. I take this opportunity in thanking Anil Kumar for his genuine honest, advise with regards to my cousin's job prospects & marriage. Ever since, i have been taking his regular services for Astro-Numero counselling. Anil Kumar ji correctly predicted about my job loss and my financial problems in the year 2009. He is simply brilliant and intelligent Astrologer. I wish him all the success in his profession. Numbers form a significant aspect of our life. Nobody can imagine a day of life without them. And so they affect the ways that we act, feel and relate to others. The study of numbers as the figures designating the year of one’s birth, to determine their influence on one’s life is what is popularly called as ‘Numerology’. Numerology is a tool which helps one to meditate and know oneself and others. As we have 9 planets in our solar system , we have only 9 numbers by which all calculations on this earth are made. Beyond the number 1 to 9, the rest are repetitions. Every number no matter how large it is, can be reduced to a single figure by what is called as ‘natural addition’ adding from left to right. Hence all the birth dates come into the 1-9 scale and respond to the numbers given to the nine planets of our solar system. With the help of numbers we are able to live in harmony with the laws of nature which affect our lives and hence we become more happy, healthy and successful. Numerology helps one achieve peace of mind, harmony, and success. Success can be achieved by altering name spellings, number plates, company names, etc. - thereby altering the calculations and the outcomes. 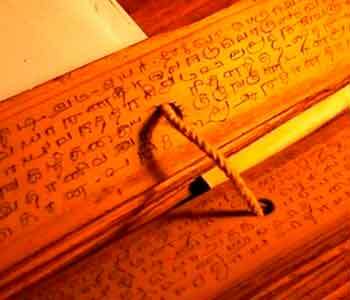 Anil Kumar offers expert consultancy on numerology. He has extensive experience and insight in this field. He has provided successful guidance to thousands of clients by suggesting alteration of their personal as well as business names for future success. Flat No:102, B-wing, Radha Madhav,Radha Residency CHS Ltd., Near Raheja circle (Thakur Village), Borivali East, Mumbai- 400066.